Today's UK Register article got my juices flowing (see the article here). They reported that Salesforce.com is being eyed for acquisition by "somebody." Given my intimate knowledge and insight into Larry Ellison and Marc Benioff, two charter members of my Privateer Fantasy League (see the league and their nominations here), I say, "It's about time!" I jumped the gun a bit, predicting the acquisition in 2011 and betting it would take place sometime in 2013 (see both predictions here). So I'm off by 2 years. "We need to have a larger toolset to go after what the bad guys are doing," he said. THE PRINCIPLE OF DEFENSE: The Perfect Virus has defenses that make Sigourney Weaver's Alien monster look like a mildly incontinent house pet. It can be directed to so fundamentally change the DNA of the host system that eradication will destroy the host, intelligently and forever. Think of it as a genetic mix of the fictional Alien and Predator (a la Arnold Schwarznegger) species. Armed with Jesse Ventura's chain gun. In fact, rent or buy and then watch the Aliens vs. Predator DVD. It'll give you some additional virus Defense scenarios to consider. The zombie apocalypse guarantee: Since it's illegal to test offensive cyberwarfare capability "in the wild" on the Internet, aspiring BWBs (Beltway Bandits) will be limited by their financial ability to field a robust closed test bed. The odds of some poorboy mutant virus getting loose into the WorldWide Web is virtually 100%. Some poor summer-job intern will invariably bring his BlueTooth-enabled smart phone into the testing site, and get said smart phone "Frankensteined" by a work-in-progress virus. One little dinner-date email check is all it will take to introduce havoc. What! You don't believe me? Well Grasshopper, time will tell. 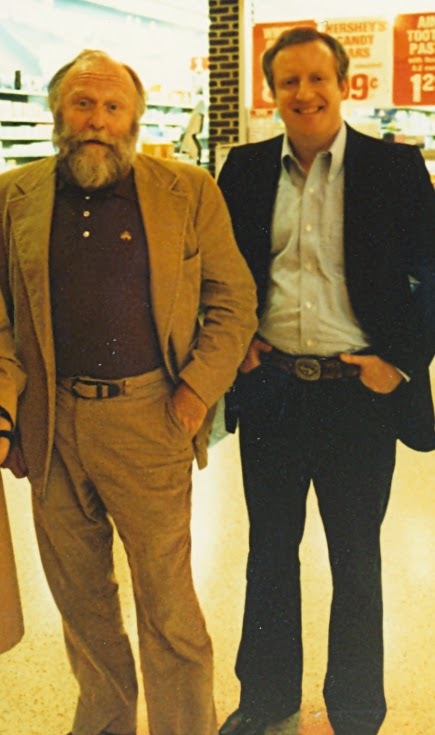 Here is a much younger me in 1980 with my friend Frank Herbert. Sure, Frank's Dune, along with his other science fiction, eerily foresaw our current geopolitical battle lines, where technology became sufficiently advanced that one individual could wreak havoc on the entire planet. But his justifiable concern for Planet Earth, and his Philadelphia speech on the first Earth Day in 1970, is also appropriate for today. Ignoring the shrill rhetoric on both sides of the ecology argument, Frank's agenda was apolitical and common sense. We had many high-bandwidth conversations about everything from technology to religion to politics. Sure, he talked me into running for the U.S. Congress back in 1978. It might have been interesting, had I won and tried to live up to his vision of me as his "Tactful Saboteur" Jorj X. McKie. Who am I kidding, though? I'd probably be in jail today, having slipped a thumb drive past the capitol's legislative firewall and wreaking havoc on the Beltway Bandits' meal ticket. Sincerely, Rick Jorj X. McKie Bennett. TEL AVIV, ISRAEL—Sometime Before 2016—Israeli Prime Minister Benjamin Netanyahu announced today that Israeli's Mossad has been authorized to release the entirety of both Bill and Hillary Clinton's personal Email files. The indexed and searchable database is now available at http://www.MossadPublic.com. "We released these documents," explains Prime Minister Netanyahu, "to protect the integrity of and our friendship with Israel's most important ally. We are aware of at least five other nations' security services that have gained access to these files from the Clinton's home-based server, and we wanted to validate that our version of these data is true, accurate, and unedited. This avoids the real possibility that other governments may be prepared to alter these files for their own geopolitical purposes." Unnamed sources in both the Russian and Chinese intelligence communities expressed shock and dismay that Israel beat them to the punch. Exclaimed one North Korean source, "Damn! We really truly had these files first." The Clinton 2016 presidential campaign staff were not available for comment, although police received a complaint of excessive profanity penetrating neighboring offices and onto the street through open windows. So far, no national leaders have disputed the accuracy of the Israeli-supplied files. Which means Israel's goal for protecting the data assets of their most important international ally has been achieved. Dear President Putin, How About a Peek at Hillary's Emails? "Russian nationalism and organised crime are being assisted by Russian state security," Boisvert told El Reg. "The red lines have gone because of Ukraine. Organised crime is being told they can disrupt Western interests." While I suspect President Putin's reluctance to release Hillary's Emails is probably his vote in the 2016 presidential election—he figures he could use her Emails to get what he wants out of the US's first female president—I suggest to the Russian leader that sitting on them may lose him long-run leverage if Mrs. Clinton does not win either the nomination or the election. Paraphraising Clint Eastwood's Dirty Harry dialogue, "In all the upheavals taking place around the world, do you punk capitalists really think Russia isn't the world cyber power we claim to be? Drop the economic sanctions now, or I'll take out Clinton's campaign before it even gets started. Think I'm bluffing. Come on, punk. Make my day." Hacking the 2016 Presidential Race with ZeroDDT: No National Debt, No Deficit Spending, and No Income Taxes! Having just finished Brad Thor's HIDDEN ORDER, which gives an excellent history of the Federal Reserve System and its creation, Scott Smith's 2016 presidential platform — A NOBODY FOR EVERYBODY IN 2016 — absolutely inspired me. Problem is, we can't even get all the states to agree whether or not Daylight Savings Time should be continued or abolished. The only hope for Scott Smith is voter dissatisfaction with a Clinton-Bush ticket in 2016. But a populist movement for ZeroDDT (Zero National Debt, Zero Deficit Spending, and Zero Income Taxes) could actually sweep Scot Smith into the White House. A guy named Adam Smith wrote WEALTH OF NATIONS. 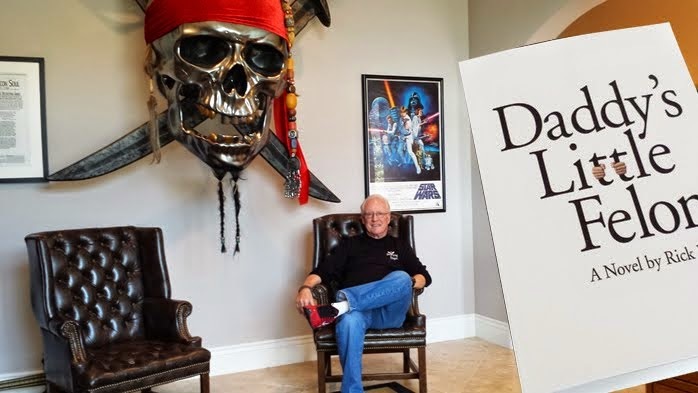 His namesake Scott Smith, who paid his dues on Wall Street and has several successful companies under his belt, wrote what I believe is the sequel to Adam Smith's tour de force. The ideas are simple enough for a low-information electorate to grok, yet well-enough developed to have the skeptical economist smacking himself in the forehead and exclaiming, "Damn! Why didn't I think of that?" Worst case, Scott Smith should at least be given Nobel consideration for his contribution to Economics. I'd dearly like to see Freakonomics gurus Dubner and Leavitt, or Wall Street icon Warren Buffett comment on ZeroDDT. I do know a "friend of a friend" and a former high-ranking Fed manager, characterized ZeroDDT as "…a great idea that will never fly." We'll see, eh? This was an INSIDE JOB, not out of the question given the number of Islamists now populating France. But more likely, IMHO, this was a False Flag Operation. Probably Russian, as Vladimir Putin courted economic support from Islamic interests. Either way, I can't wait to see which of the above scenarios is validated. There won't be a third. On the bright side, I also can't wait to see whether it's the Islamic State or North Korea that releases all of Hillary Clinton's email. Islamic State release would be a Russian false flag operation, and North Korea would be a Chinese false-flag operation. Quoting Forrest Gump, "Life is like a box of chocolates…" Stay tuned. Hillary Clinton's Emails Secure as…White House Emails; Putin to Begin Daily Prayers. So the Russians had access to White House emails, according to yesterday's Computerworld story (Read it here). What then, pray tell, are the odds that Hillary Clinton's State Department emails, hosted on her own server but which we are assured was put in place by Bill's White House cyber wizards, are not also in the hands of President Putin? They are probably the exact opposite of the odds that President Putin will have a strong vote in the 2016 U.S. presidential elections.Were I President Putin, I'd truly want Hillary to become POTUS. I might even take up prayer to make that happen. Amen. By noon today, Bennett had to remotely deactivate his device. Two "unintended consequences" caused a bit of an uproar in both Salt Lake and in Utah Counties. First, the rapid attraction by the ionic vortex catalytic process created hurricane-force winds that literally tore the roofs off several Suncrest mountain top homes. According to Bennett, "There are some liability issues that far exceed the limits of my own homeowner's insurance policy." 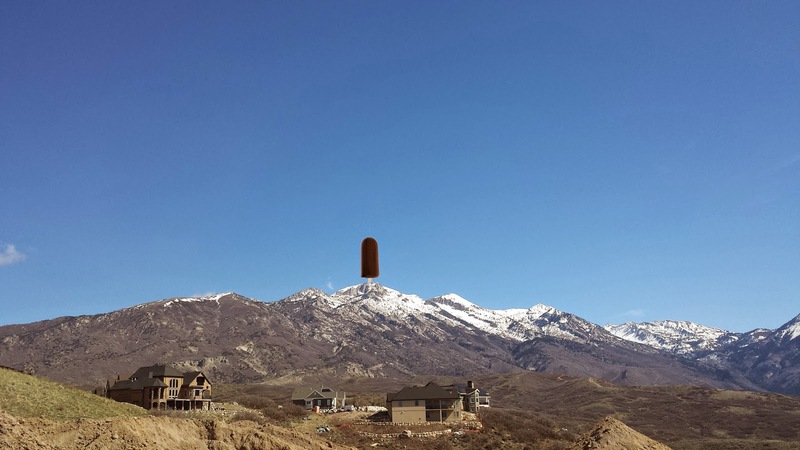 The second, and by some accounts, the most serious problem is the device's creation of a 25,000 ton monolith that residents on both sides of Lone Peak are calling The Rickcicle. Local television stations are having difficulty interviewing residents, as even the most pious in this strongly religious community turn the air blue with invective as they react to the new view outside their bedroom windows. News crews could not interview Bennett on camera, as crowds of irate neighborhood residents had surrounded his home. The telephone interview was cut short by the sound of breaking glass, just after Bennett lamented, "I bet this is how Dr. Frankenstein felt…"